As part of the family Wil emigrated from Holland to Namibia in 2005 since Namibia was ‘her place to be’. She started managing the Windhoek depot of Bobo Campers since then. 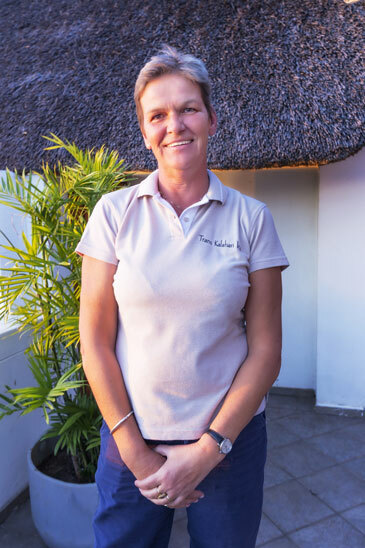 Since 2012 she also manages Trans Kalahari Inn to make sure the Inn is in a friendly and on high level state of service, ready for our guests to welcome them. She lives with her labradors and cats on the premises where you might see her and her ‘dog-family’ walking early in the morning on the premises.